Finally had a little time this week to look for warblers in Pulaski Park. I heard — but didn’t see — several yellow warblers and American redstarts. Several Baltimore orioles, both male and female, were hanging around the edges of the park. 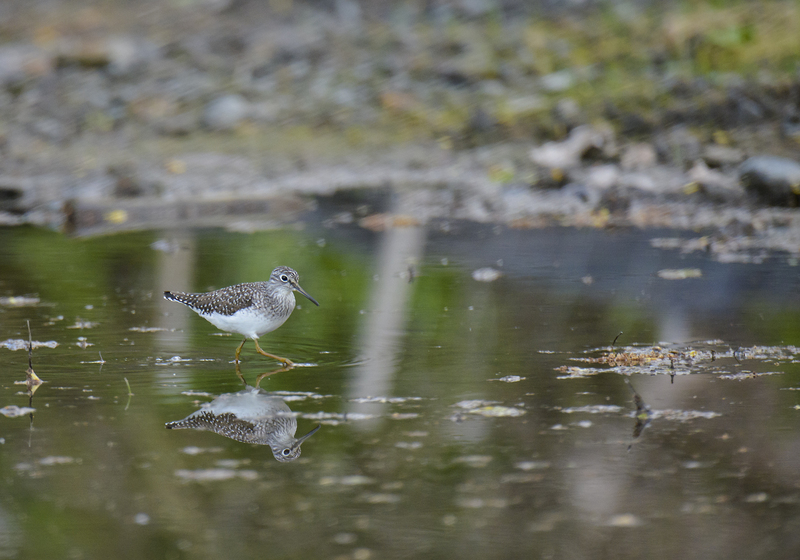 Down at the river’s edge, I found this solitary sandpiper. I’ve been meaning to get to Pulaski park. Haven’t been in30 yrs or so. Maybe this weekend. Always look forward to your bird sightings in the downtown Holyoke area. Do you hold any bird watches in the local area? I am a Holyoke native, now residing in Chicopee. Thanks, Kimberly! I had hoped to organize a few walks downtown this spring, but my weekends filled up quickly. I might consider it for the fall migration.